Use the comments section to ask me questions. Talk With Sue. 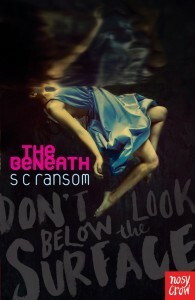 For questions regarding rights to The Beneath or the Small Blue Thing trilogy, please contact my publisher, Nosy Crow. Email me using the form below to ask about school or library visits or other events. I’m happy to do events for a class or a whole year group, and can do talks or workshops. To sign up for email alerts for news items and blog posts, use the subscribe button on the right.